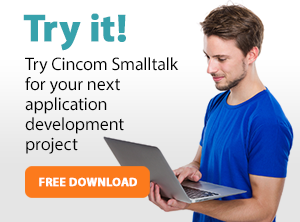 Read Cincom Smalltalk™ user stories and hear why they chose to use Cincom Smalltalk for their application development needs. Cincom Smalltalk users have many great things to say about Smalltalk’s frameworks—their simplicity, their power, their flexibility and more. From government organizations such as the Wisconsin Department of Revenue to companies like Texas Instruments and JPMorgan, our clients have discovered that Smalltalk is the best solution for object-oriented application development. Explore the successful user stories below and discover for yourself how easy it is to develop applications with Cincom Smalltalk.